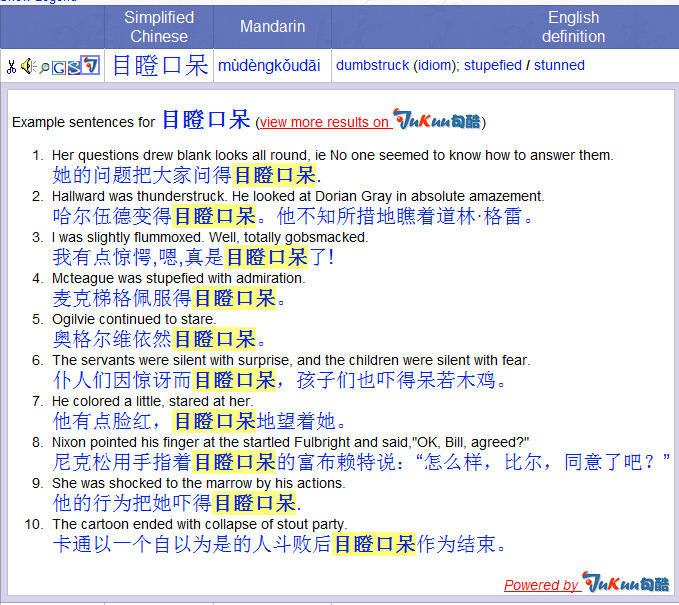 MDBG is my goto source for translation, words, dictionary, idioms anything. I can’t even say how much MDBG has helped me in my Mandarin studies. Now, it seems it got even better and teamed up with Jukuu. Jukuu is a bilingual example sentence dictionary and it is now available straight through MDBG. Similar to the way MDBG added Skritter, one can now easily click on the Jukuu icon and it shows you example sentences with your word. Amazing or what? No more cross tabbing sites. Easy access straight in MDBG. What an excellent merging of services!